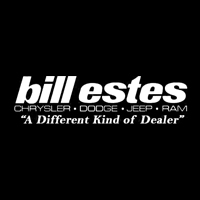 If you’re looking for a used car and dealership that will always go above and beyond for you as a customer, come to Bill Estes Chrysler Dodge Jeep Ram! We have a wide selection of top-notch pre-owned vehicles and dedicated staff who are excited to help you find the one meets your needs. To put our word to the test, visit our location at 745 E 56th St, Brownsburg, IN, 46112. For those who feel a little apprehensive about purchasing a vehicle with a past life, allow us to put your mind at ease. All of our vehicles are thoroughly inspected by our staff to detect any problems before they go on our lot. If you want to do some research on your own, you can check out the CARFAX® Vehicle History Report™ that is free and available here on our site. You’ll be able to see exactly where the vehicle was owned, how many times it has changed hands, and when it was taken in for routine maintenance, such as oil changes. RECALL NOTICE: Some vehicles offered for sale may be subject to unrepaired manufacturer safety recalls. To determine the recall status of a vehicle, visit www.safercar.gov or click here. We know that figuring out how to pay for a used vehicle can be another source of stress, which is why our Finance Department is here for you six days a week. Whether you have great credit or have just been through some financial difficulty, we’ll work with you to help you get behind the wheel of a dependable vehicle. You can even get started right away by completing our secure online finance application. Our connection with local lenders and our commitment to treating every customer like family will make getting a loan easier than you ever thought possible. Ready to drive home in a vehicle you love and can afford? Come to Bill Estes Chrysler Dodge Jeep Ram and ask about our used cars for sale near Zionsville, IN! Our selection is ready and waiting for you, so stop by today!